Regions of the United States all come with an attachment to food, a food they each think they do better than anyone else. The deep south has grits and fried chicken, Texas has tex-mex, New England has clam chowder and both Chicago and New York claim pizza. We Marylanders claim crabs. We can steam, crack, pick, or cake them like no one’s business. 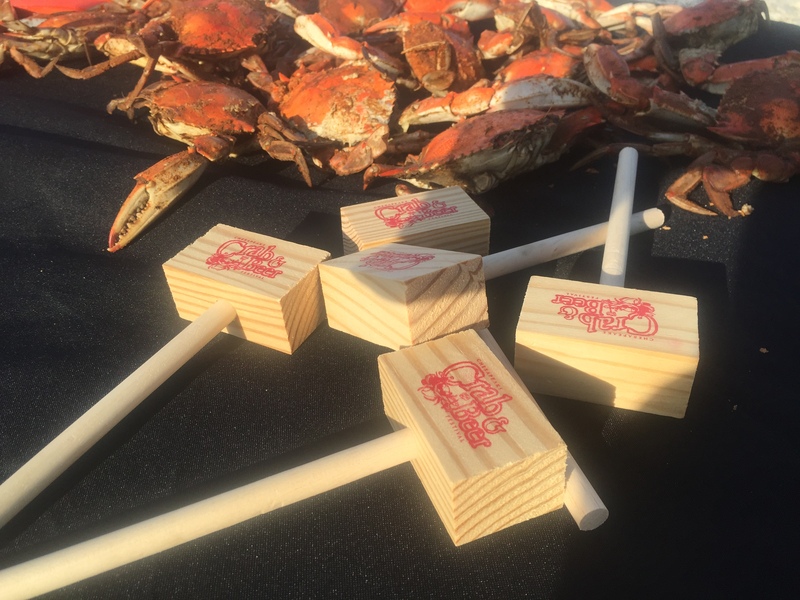 The crab is key to Maryland culture; the state tourism site has pages of information on the Great Places to Eat Maryland Blue Crab. Heck, the Blue Crab is the state’s official crustacean, and how may states have an official crustacean? We will even eat them whole, shell and all (when we catch a soft shell, that is). So we celebrate our love of crustaceans with crab festivals. I know it may be a little late but the biggest festival is the Chesapeake Crab & Beer Festival, which boasts it’s the largest one of its kind in the world. The annual festival is held in two locations, one at the beginning of the summer in June, and the other at the end of the summer in August. The June festival is held in the Inner Harbor, Baltimore (founded 1729). The August festival is held in the National Harbor (founded 2008), which is slowly becoming a place to enjoy an evening by the water with some quality food. The end-of-summer festival has morning and evening sessions that run from 11am -3 pm and 5pm -9pm. You buy a ticket and get an all-you-care-to-taste experience, including more than 50 craft brews, live music and thousands of chairs, tables and mallets for you to get cracking. Did I mention there will be crabs to eat? The festival steams more than 60,000 crabs. So let’s do some crab math. There are 6 dozen large male crabs to a bushel (large basket), 72 crabs, which means the festival will go through 833 bushels. You need 12 crabs to create a pound of meat so that means you have 5,000 pounds of crab meat, or the potential to make 10,000 crab cakes. You get 36 teaspoons in a can of Old Bay, a necessity of any crab cake recipe, and you use only 1 tsp per cake. So that’s a minimum of 277 cans of Old Bay seasoning. You still have time to head over to National Harbor on Sunday, August 23rd if you live in the DC area. The website says they are sold out, but I spoke to the promoter and he said they have plenty of tickets left for purchase at the door. The best advice would be to bookmark the festival page in you browser and keep checking back so you can make a weekend of it in Baltimore or National Harbor next year.